In the 1970s, John Rossi was, in his words, a "very theoretical" scientist working at a postdoctoral post at Brown University. Research in his field was pointing toward the idea that RNA, a genetic molecule that transfers messages from DNA, could be used to treat patients. The opportunity to explore that idea led him to uproot his wife and four children and settle in the sun-drenched San Gabriel Valley in Southern California to pursue research at the City of Hope Comprehensive Cancer Center. It was a tough move, but Rossi thought it was a move worth making because he was excited about the opportunity to apply theoretical research to the treatment of patients. He looked forward to working with Keeichi Itakura, who built the first human gene for insulin in 1978. Rossi laughs about how his family crossed the country. They came by train, he says, because he couldn't afford plane tickets. But once he was settled at the sprawling medical facility with a broad view of the San Gabriel Mountains, Rossi started doing something different. He started making DNA. The time and place were significant, as the public arena was becoming crowded with calls to relieve the mounting public health crisis of the AIDS epidemic. "There was a big call for funding ways to solve problems in the HIV field," Rossi says. The massive funding at the time was controversial. Rossi, who over the course of three decades found ways to degrade the HIV virus within infected cells, to cure AIDS-related lymphoma in three patients, and to develop new treatments for pancreatic cancer and liver cancer, accepts that large-scale funding programs create dissent. But he has seen the results. "Throwing money at programs has its own rewards," he says. "All of that paranoia—they don't realize that it's had positive impact." Rossi reflects on three decades of discoveries from his office deep in the complex of the City of Hope campus. The facility northeast of Los Angeles serves as a teaching hospital and an independent biomedical research laboratory. The office is a study in neatness. Artwork from his grown daughters nestles on a white board across from his desk. Pictures and plaques fill the walls with amazing symmetry. On a wall filled with small plaques, a picture of a stunning woman stands out. It's a 20-year-old snapshot of Rossi meeting the late Princess Diana, who attended an AIDS conference where Rossi was speaking in 1992. She wanted to know about the possibility of treating the disease. She spoke with him for 30 minutes. From his orderly perch, Rossi serves as the Morgan and Helen Chu Dean's Chair and the dean of the Irell & Manella Graduate School of Biological Sciences. 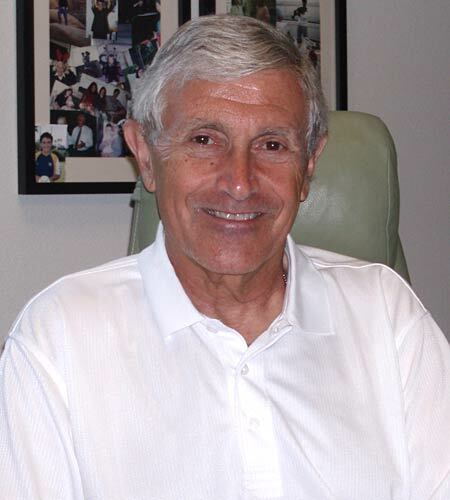 He has worked at City of Hope since 1980 for all but three years, during which he worked as head of the department of gene therapy at Loma Linda University Medical Center. One of his sons is working at an internship at City of Hope, and the other son works for the biotechnology firm Amgen Inc.
All of his children, at one time or another, worked in the lab. It's a fitting legacy for a researcher who was involved in the first trial to place altered stem cells into a human being. That trial occurred in 1998 as part of the effort to cure HIV. After years of studying how RNA sends messages from DNA to proteins in cells, Rossi and his team learned to safely alter those messages. He explained it this way: "My research in the late 1980's was focused on a new role for RNA, its ability to act as an enzyme that could cut and destroy other RNAs. We took advantage of this property of RNA to custom design catalytic RNAs that would seek and destroy deleterious mRNAs [which code for the chemical blueprints for proteins] such as those encoded by HIV." In short, he says, "It's arming our own cells with weapons that our cells are using already." The finding has served as a fundamental principle behind all major blockbuster drugs. This delivery system has been used, Rossi says, in "twenty different drugs with big impacts on disease." The lab's latest research involves creating highly structured RNA molecules called aptamers that act like antibodies. The new molecules "turned out to be much better than we thought," he says. They work like a Trojan Horse or a smart bomb to deliver RNAs into infected cells that interfere with HIV. They work the same way for some cancer cells. These discoveries have entered the medical arsenal just 30 years after an era when fear-mongering scientists and policymakers recommended isolating human populations—even shooting groups of people into space—to protect the race from the ravages of HIV. "There is the possibility of curing HIV." A few days after John Rossi sat down for this interview, he had a stroke while playing racquetball. He is currently recovering in a rehabilitation hospital. As he recovers, his wife, Mary, is answering his e-mail, and his staff and postdoctoral students at City of Hope continue to submit papers and grant proposals. Mary Rossi said, \He's working very hard at rehabilitation, and he will be back at work. It's business as usual. . . . Nobody should think John's out of the picture now. He is coming back." He is even attending lab meetings via Internet conferencing from the hospital. City of Hope has set up at Caring Bridge tribute site here.